Tropical pool just steps away from our front door. Complete with sand bottom hot tub. 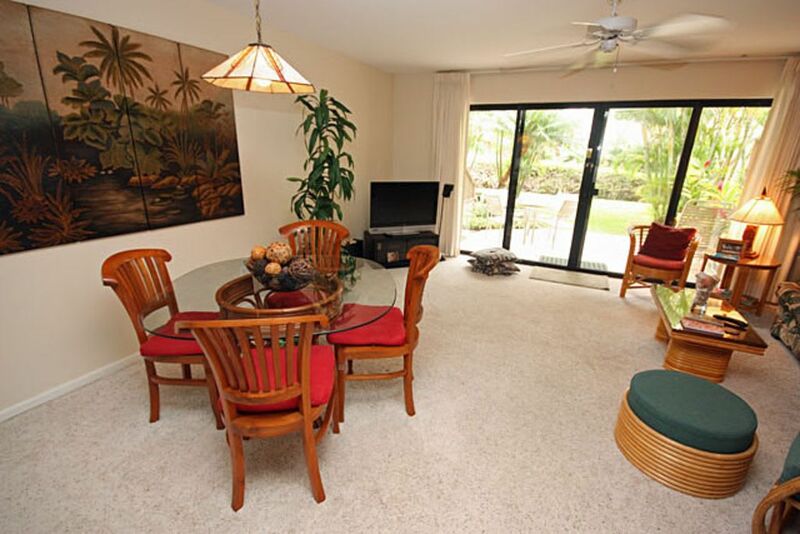 Dining area and 40' flat screen TV with DVD/CD player and Bose sound system. 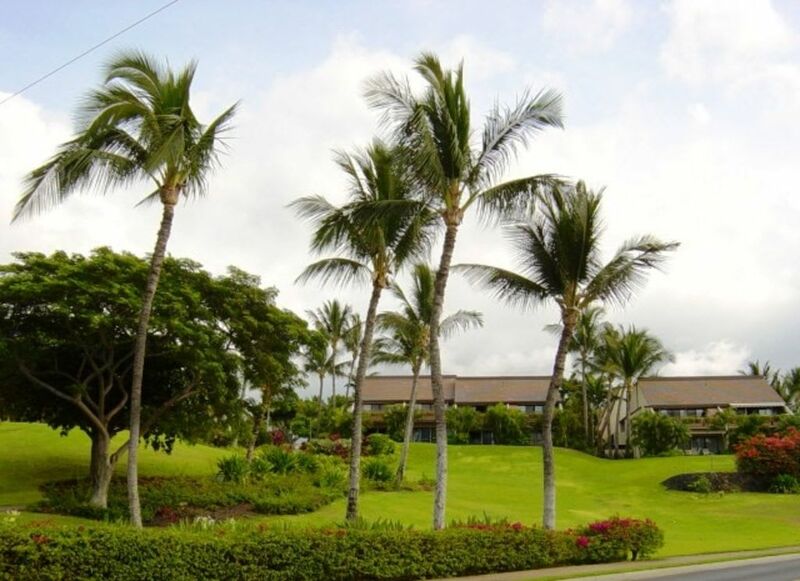 This is our home away from home—-we are here twice a year—-so you can be assured the conditions, amenities and supplies are far above the average rental. 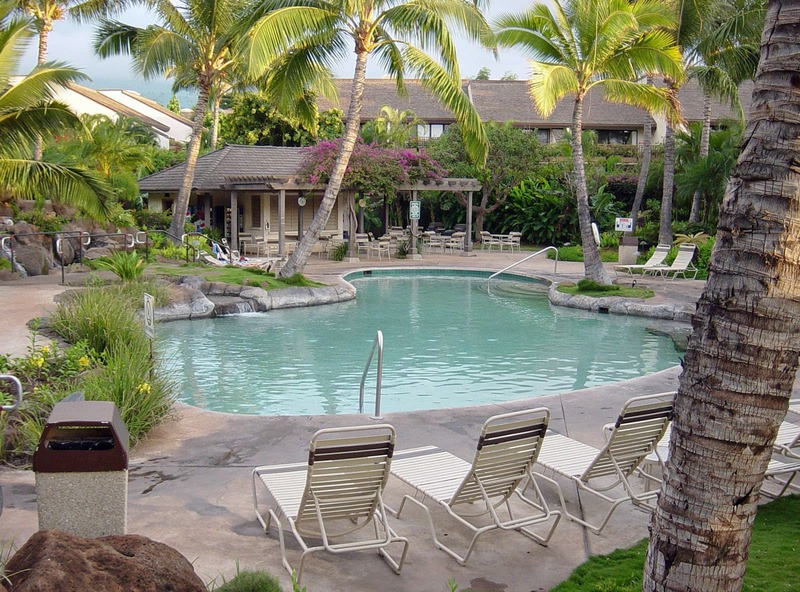 Why take your chances with a rental pool condominium where you have no idea of the quality or location of your unit until the day you arrive? 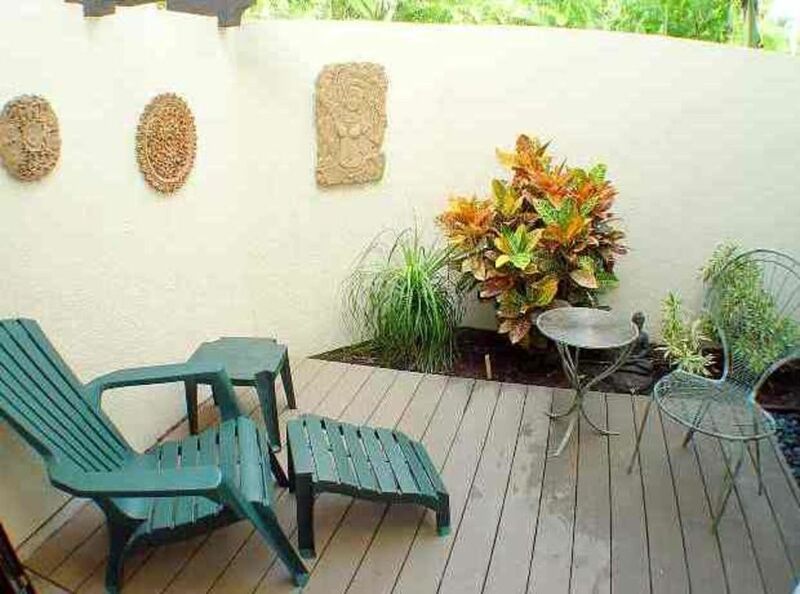 Our unit is available to rent directly from the owner and we will work with you to assure your vacation in this little slice of paradise is the best that it can be. 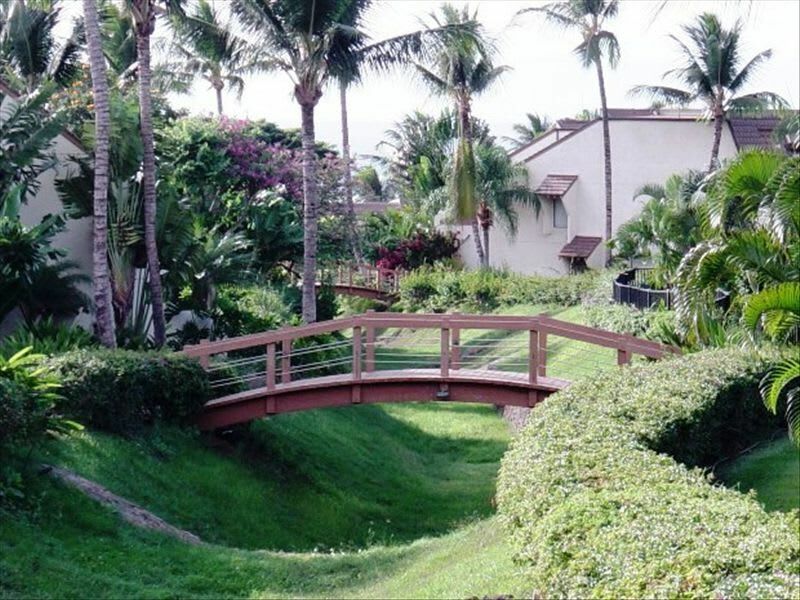 Nestled in the Southern most part of Kihei, bordering Wailea and close to the best beaches on Maui, is our 1061-square-foot, one-bedroom, two-bath, garden view condominium--unit K109. 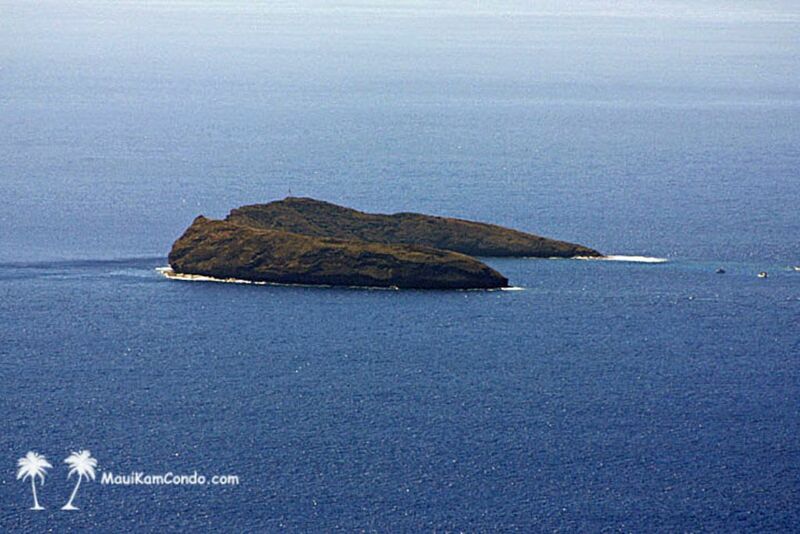 We also have K103 (91997) which is close to K109 and is perfect if you are traveling with friends. 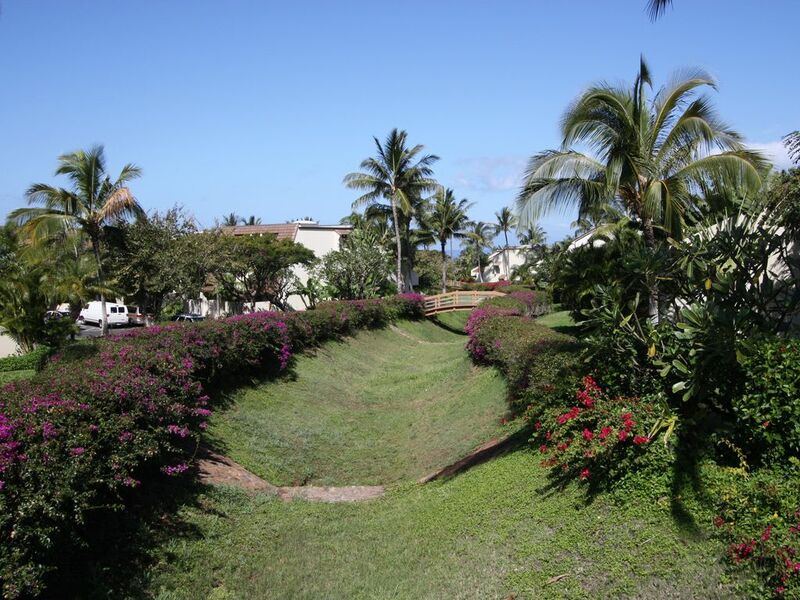 The condominium is situated in the 23-acre low rise, low density Maui Kamaole complex. 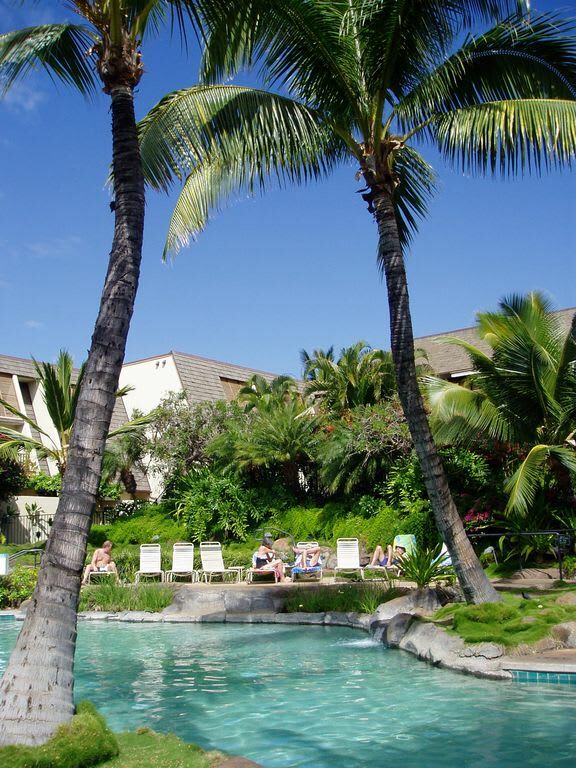 The complex is carpeted in lush tropical gardens with flowers and palms that give it a feel more like Wailea but at a Kihei value. 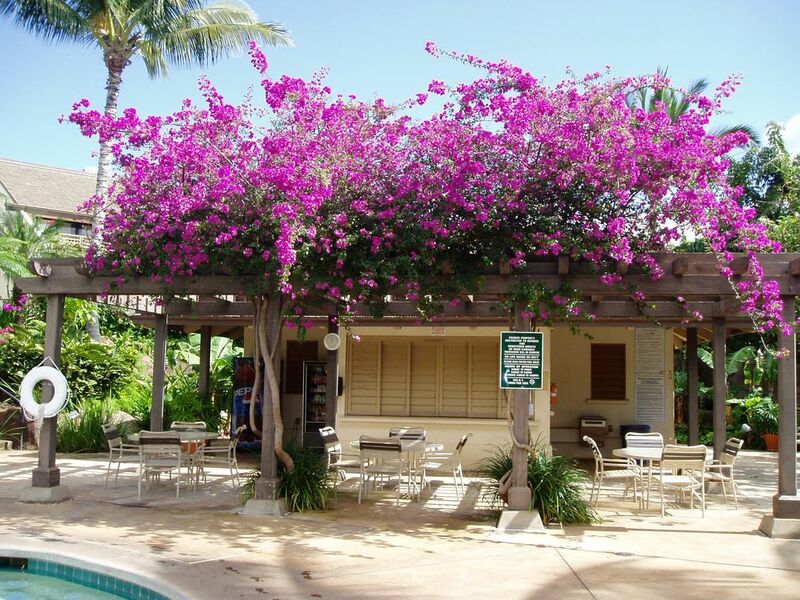 With two pools, two Jacuzzis, Barbecues throughout and two tennis courts, you will not be disappointed. 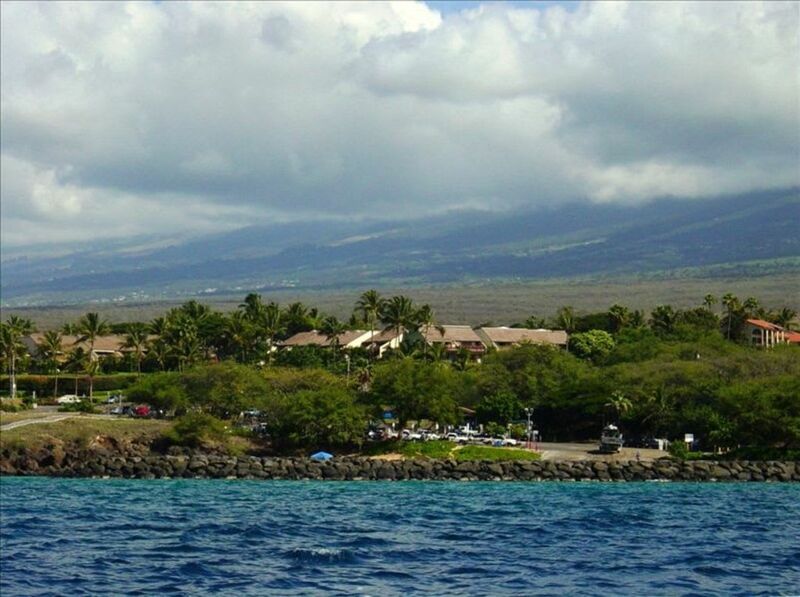 And please take advantage of the proximity to beautiful Wailea with its five-star resorts, great restaurants, golf courses and the Shops at Wailea shopping center. 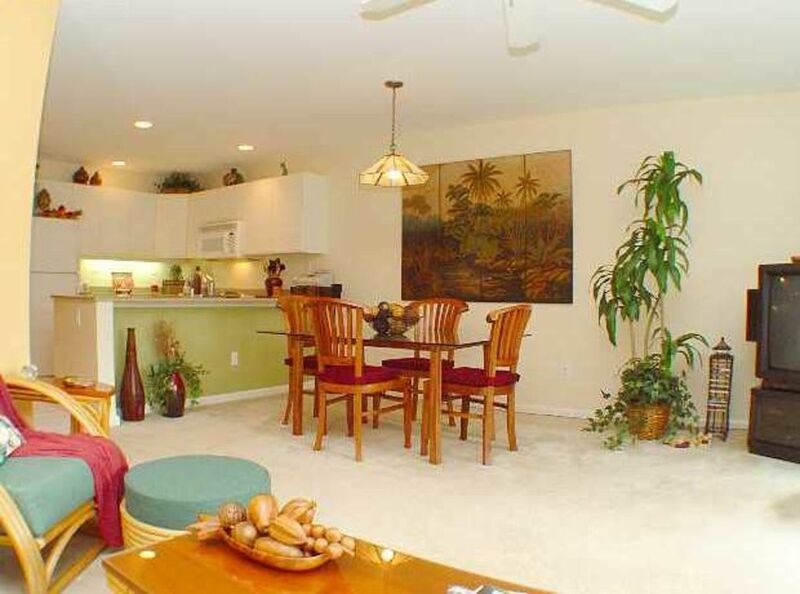 Our condominium is one of the newest units in the complex with construction completed in 2001. 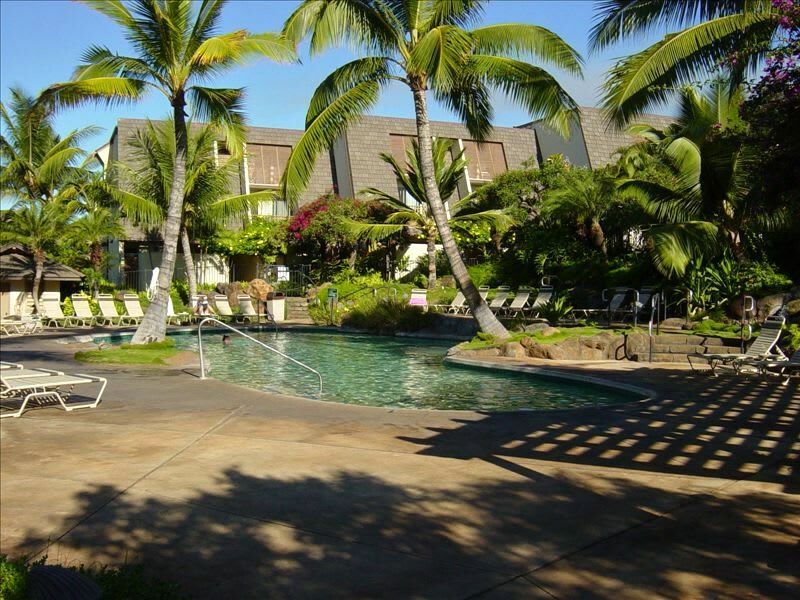 The complex has two swimming pools with two Jacuzzis. 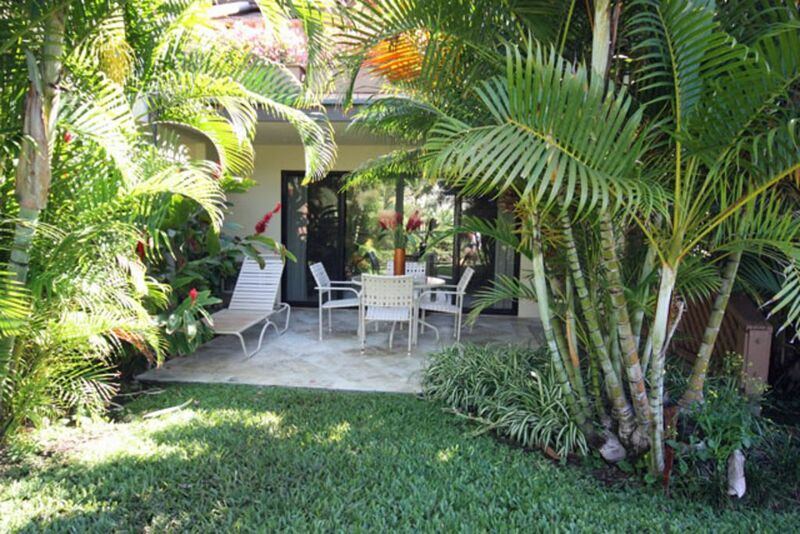 We are just steps away from the upper tropical pool-—complete with waterfall and sand bottom Jacuzzi. 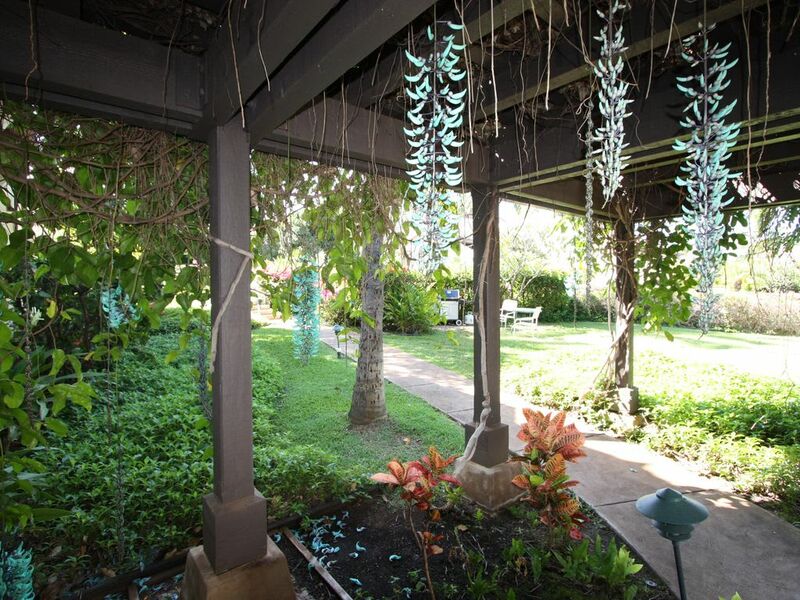 The back lanai has a very private feeling with no traffic to disturb your peaceful evenings. 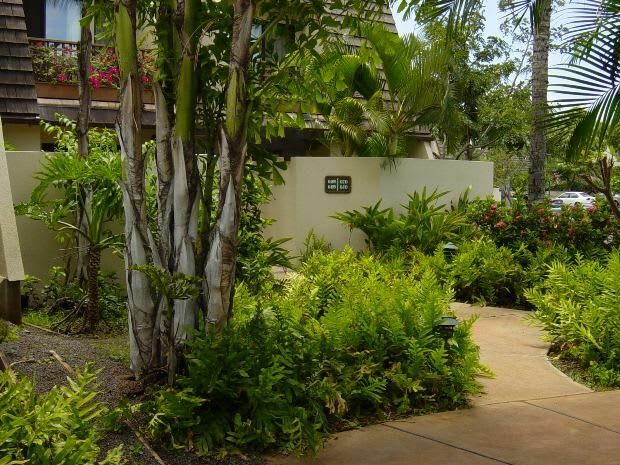 Our front courtyard and real lanai offer lush tropical plantings for a little extra privacy and tropical feel. 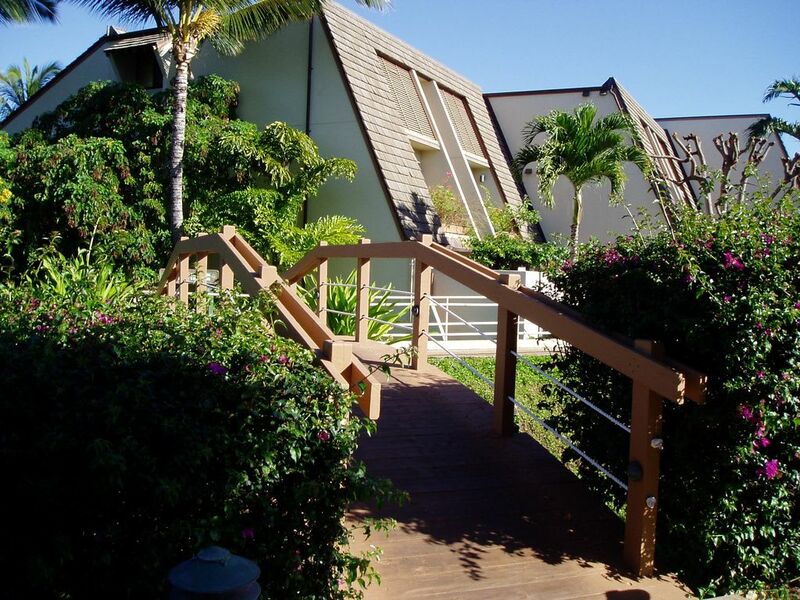 The facility also boasts two tennis courts, again just steps away from our unit, and two barbecues at each pool with an additional Webber barbecue at each pod for your convenience. 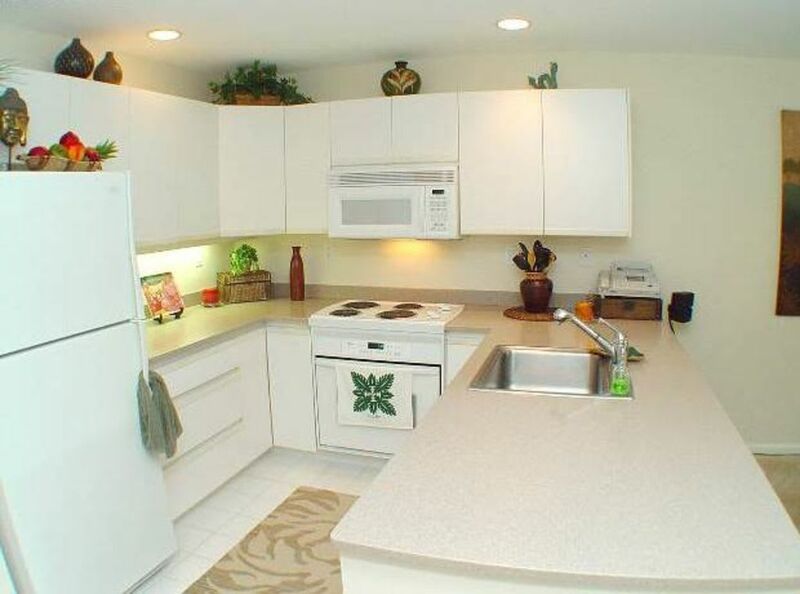 Our condominium offers all the comforts of home with a fully appointed kitchen including full range/oven, microwave, toaster, blender, coffee maker and all the accoutrements the creative cook desires. 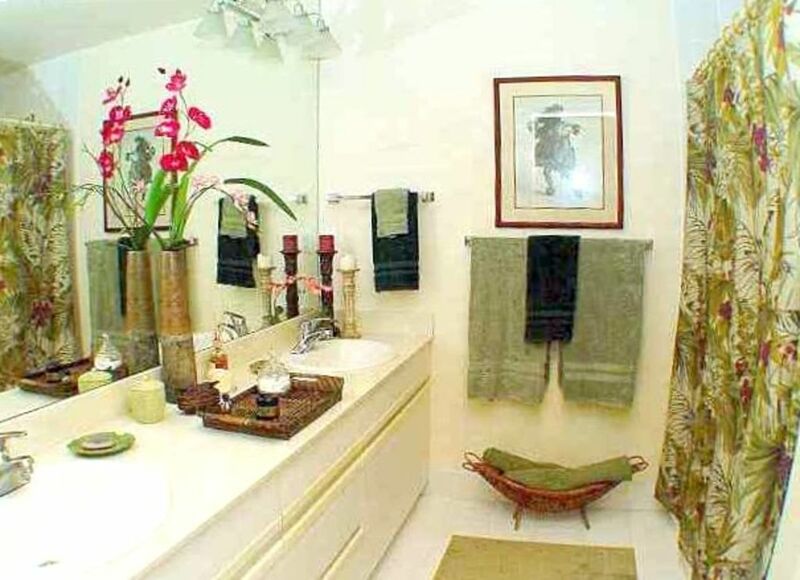 The master bedroom features a queen-sized bed and is beautifully done in a Hawaiian motif. 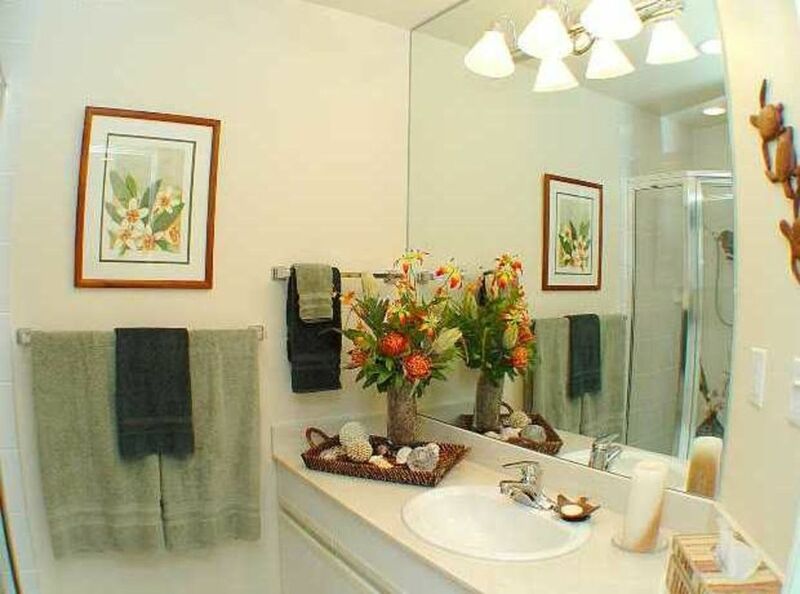 The large master bath has two sinks and a full tub and shower. 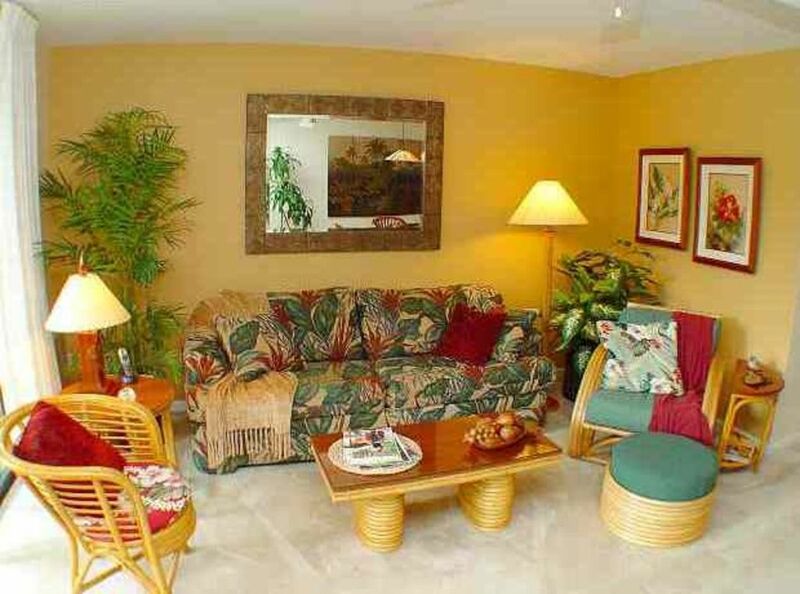 The living room also features a queen-sized sofa bed with a bathroom with shower in the adjacent hall. 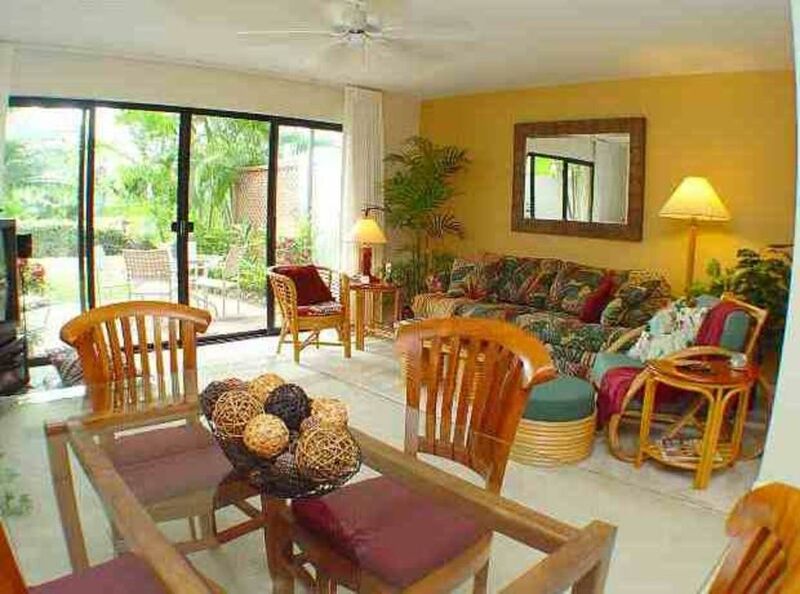 For entertainment there are TV/VCRs with cable in both the master bedroom and living room. 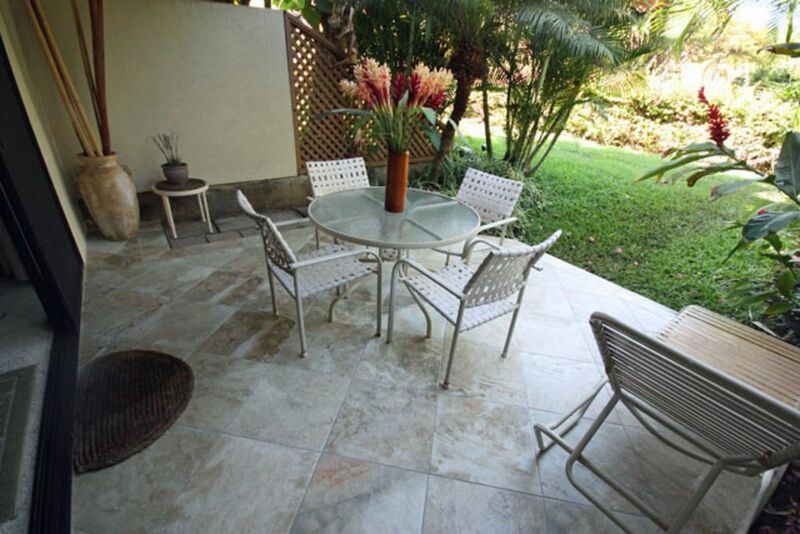 You will also find a DVD player, a CD player and high-speed wireless internet is included at no extra charge. Even though this is a cool downstairs unit with great cross ventilation due to the afternoon trades, it is equipped with ceiling fans in the living room, kitchen and master bed. But it also has two air conditioners should you choose. You will also find a few other niceties like a digital safe in the master bed to house your laptop, a full-sized refrigerator with ice maker, full sized stacked washer/dryer, dishwasher and even an ironing board. Our rates are based on a cash price. We accept personal checks (Canadian personal checks OK if marked USD near the amount) or bank drafts. 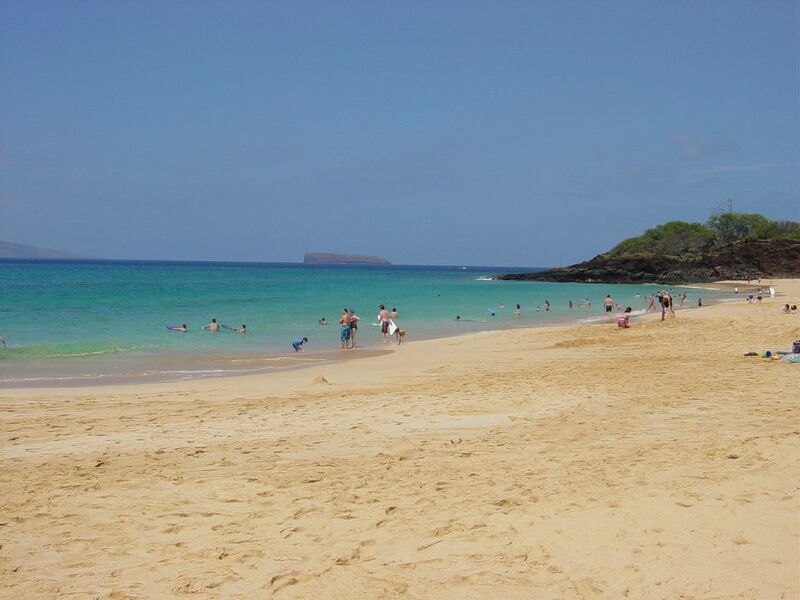 We have been vacationing in Hawaii for 40 years having visited Oahu, Kauai and the Big Island but our favorite is Maui. So in 2005 we bought our first unit then followed that with our second unit in 2007. 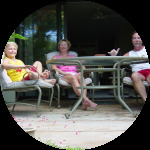 We come twice a year and stay in both condos to make sure everything is in top shape for our guests. 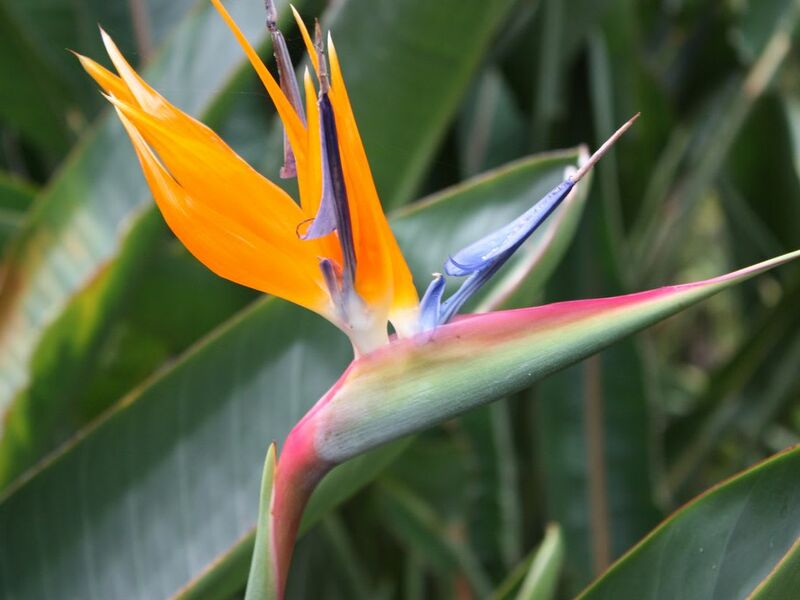 We hope you enjoy Maui as much as we do.